At a leading lithium refinery in Quebec, Canada, lithium carbonate production lines demanded a consistent supply of concentrated lithium bicarbonate solution. 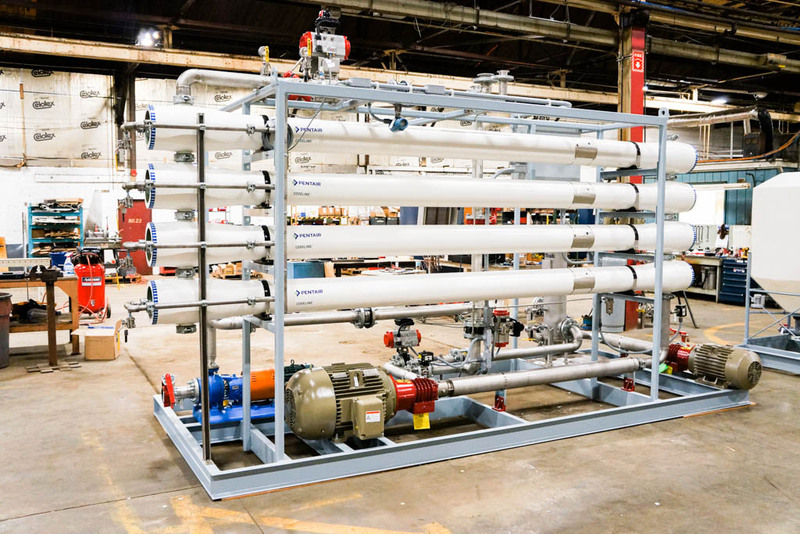 Applying seawater filtration membrane technology, SAMCO delivered a high pressure reverse osmosis (RO) system to reliably support client production. 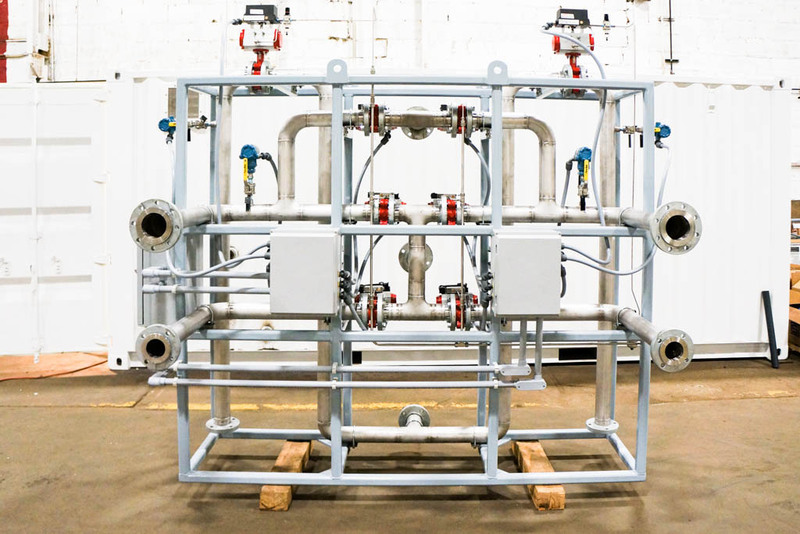 SAMCO delivered a turnkey RO system, with services comprising comprehensive process, mechanical, and electrical design and engineering, system fabrication, commissioning, startup training and support. 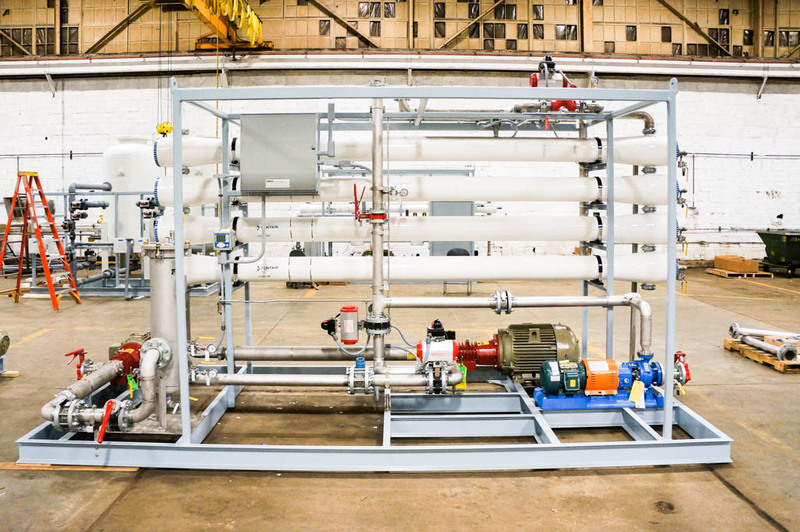 In line with the client’s needs, SAMCO designed and delivered a high pressure RO system to produce a highly concentrated solution for downstream lithium carbonate production. 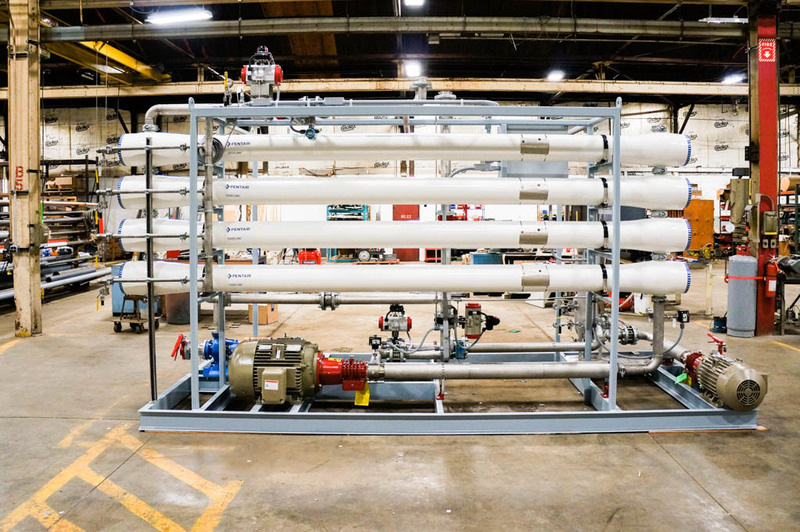 The design made use of high pressure seawater filtration membranes to sustain both long term reliability, and efficient 40 GPM output of a nearly saturated lithium bicarbonate solution. The project solution entailed a prepackaged design and comprehensive support, ensuring quick delivery and fast startup. 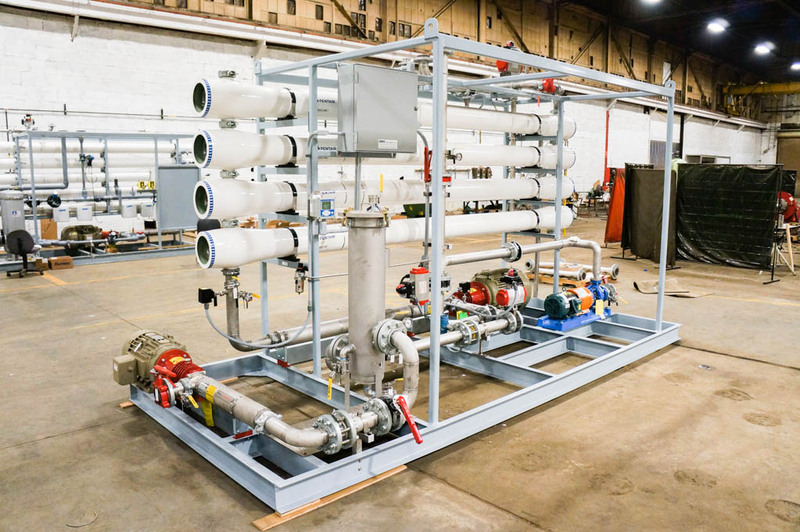 Entailing a backwashable tubular filtration unit, RO unit with seawater membranes, and peripherals, the system also included terminal boxes for optimal integration with the client’s existing DCS.